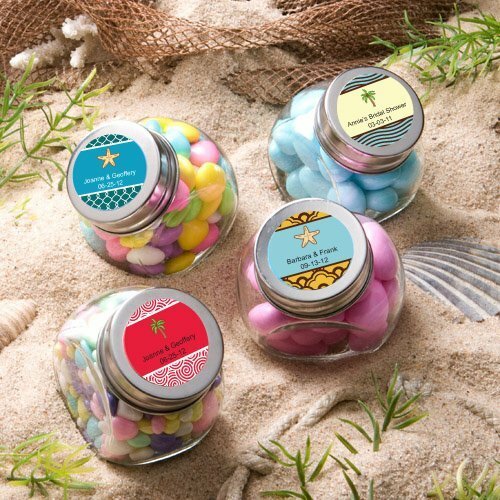 Accessorize your destination or beach theme wedding with our classic glass jars. Your event tables will look great when you fill each jar with a treat of your choice and place one at each place setting. 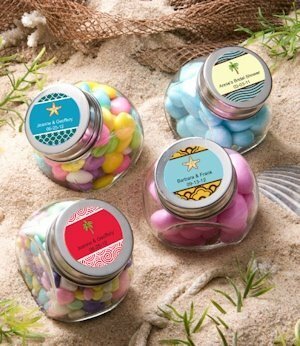 Choose from a variety of fun beach designs and colors along with 2 lines of custom text.